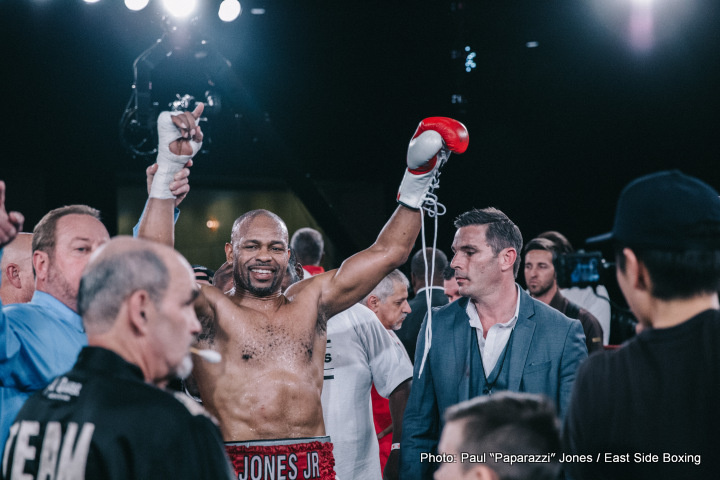 Living legend Roy Jones Junior, 65-9(47) will either have the final fight of his career that will be staged in his home town of Pensacola on February 8, or the all-time great will have his final fight period on February 8. Dubbed as “history,” Jones’ final bout (either held in Pensacola or period) will see the former multi-weight king go in against a foe who could be referred to as a live foe. 30 year old Scott Sigmon, 30-11-1 (16) is no world beater, and the career middleweight, super-middleweight will be going up in weight quite a bit to face Jones at cruiserweight, but even so, the man known as “Cujo” just might spoil the party next month. Stopped just five times, Sigmon has been in with plenty of big and recognisable names, including Kelly Pavlik, Matt Korobov, J’Leon Love and, just last year, a then unbeaten Luis Arias. And though Sigmon lost to these names, he at least stuck around for a while in each fight, going the distance on occasion. If he’s in shape, Sigmon – who won his last fight, against a 7-1 operator back in August – might just give 49 year old Jones some real trouble. We have of course been calling for and hoping for Jones’ retirement from the sport for a number of years now, and maybe this will prove to be the final one, maybe not. But who knows what might happen if a motivated and aggressive Sigmon cracks Jones’ chin? Who knows what happens if this, the aged version of the once untouchable boxing master, cannot keep up with the younger man’s workrate? Every time he insists on fighting on, Jones faces yet another bad loss (it’s still tough to imagine how guys like Danny Green and Enzo Maccarinelli have taken Jones out) and against a man 19 years his junior, Jones takes the risk once more next month. It would be nice to see Jones go out with a win, and fans are reportedly snapping up tickets for the fight in Florida. Still, the issue with Jones is, if he wins and looks good in doing so, he will go on and find himself yet another fight (there is still talk of Jones facing MMA star Anderson Silva in yet another crossover bout). There are plenty of sceptics out there who simply refuse to accept that the fight with Sigmon will really prove to be Jones’ final one. Can Jones, a dead-cert future Hall of Famer, go out with a win and then retire and make it stick? There should be quite a crowd on hand to find out on the night of February 8.